Help raise funds for Arroryo Seco! 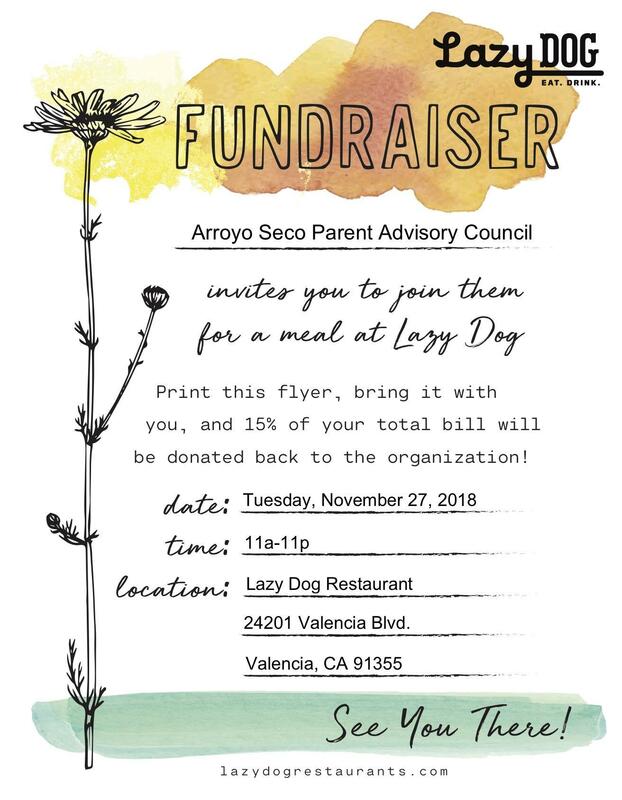 Visit Lazy Dog Cafe and Menchie's at the mall on Tuesday, November 27th! 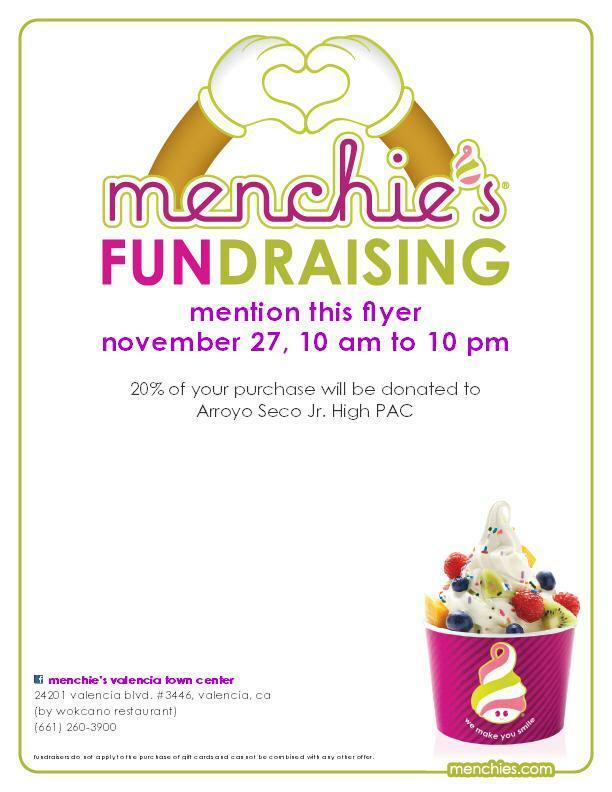 Show the attached flyers to raise funds for Seco!